The Rustic style wedding stationery is a unique design printed on kraft brown (300 gsm) card. 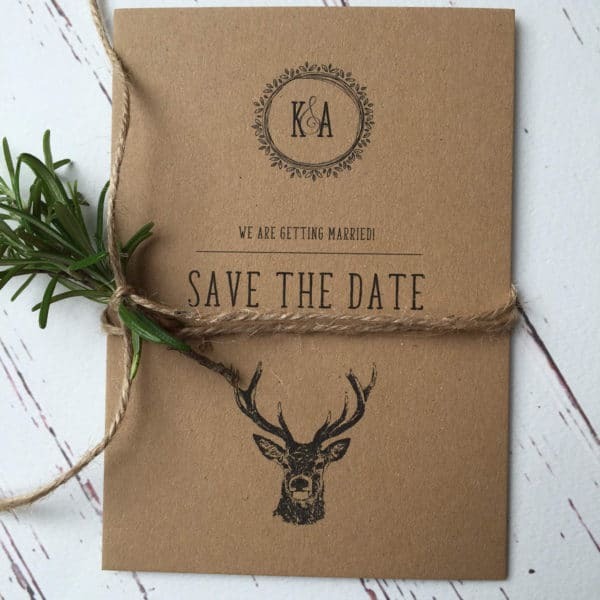 You can choose from either a Deer/Stag or a Pheasant illustration for your invitations. 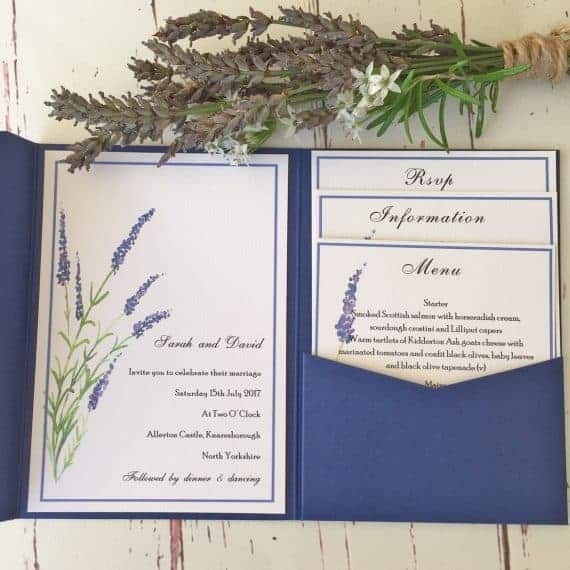 This is a lovely affordable option and all our invitations come with matching envelopes. 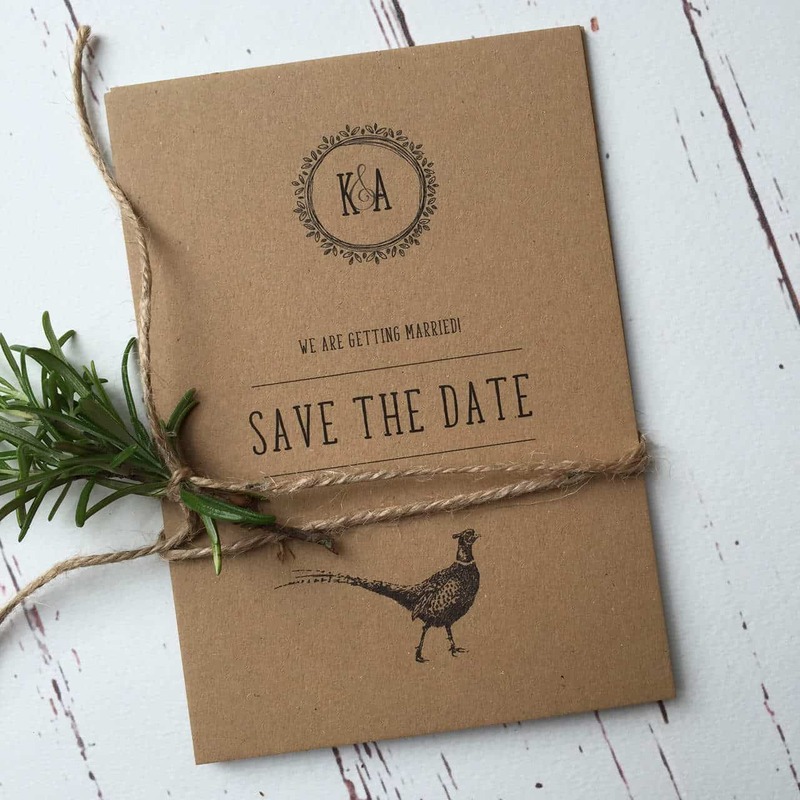 We also have the Save the Date, Evening only, and menu cards in the same rustic style. You can personalise the stationery with your names, date, venue, time etc. (see customisation bar below) or alternatively you can send us your details and we can do it for you and email you a draft for approval. 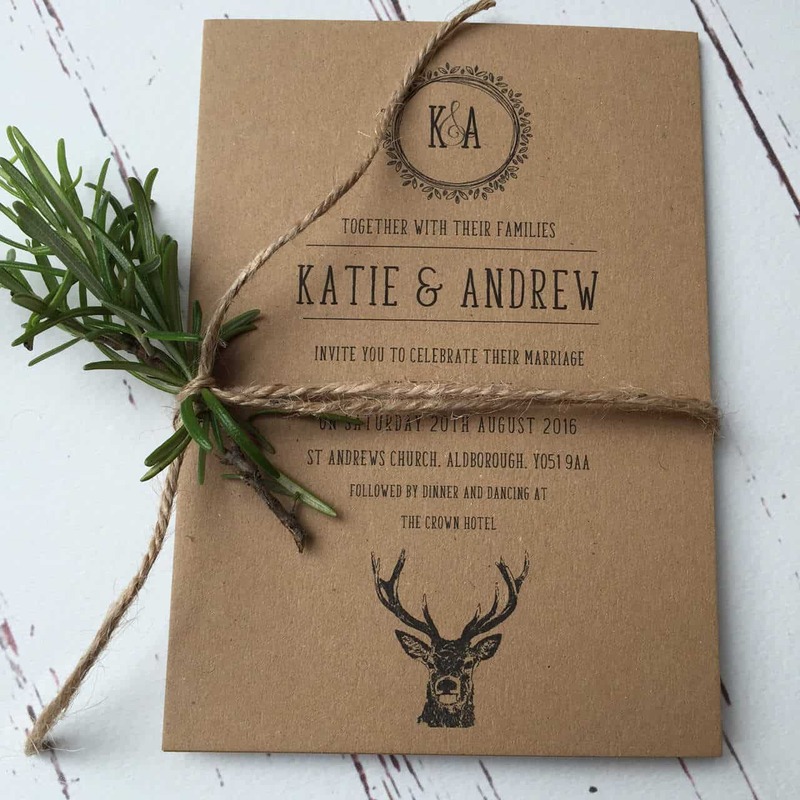 Your wedding stationery will then be printed onto high quality A6 (105mm x 148mm) Kraft brown card with quality envelopes to match. We can also design an Order of Service to compliment your theme. Please contact us for a price if required as we offer different formats (flat card or booklet style). 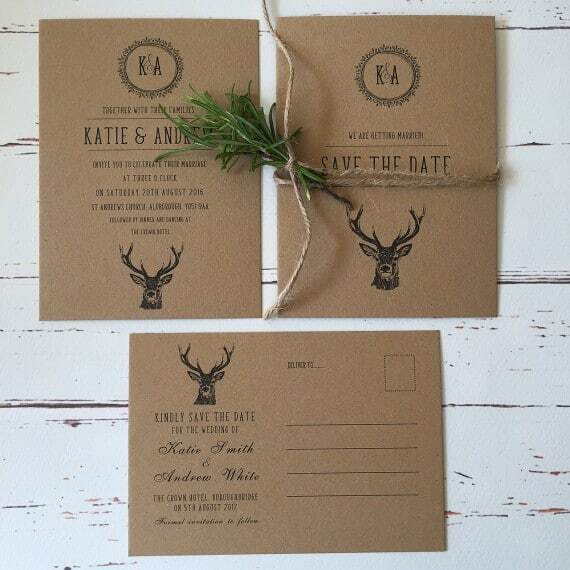 The Rustic style wedding stationery is a unique design printed on kraft brown (300 gsm) card. You can choose from either a Deer/Stag or a Pheasant illustration for your invitations. 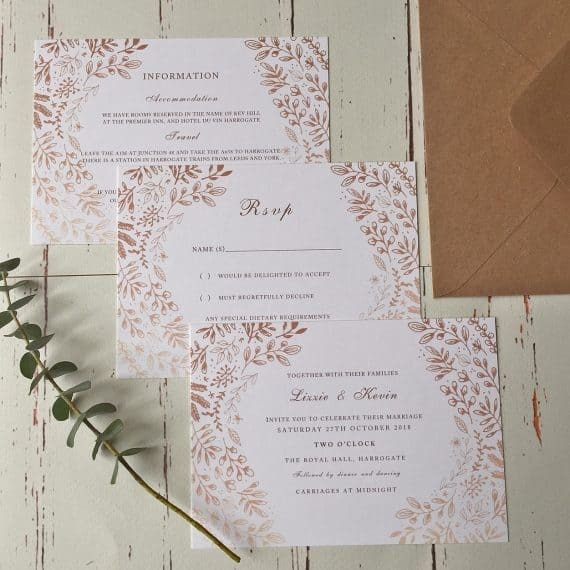 This is a lovely affordable option and all our invitations come with matching envelopes. We also have the Save the Date, Evening only, and menu cards in the same rustic style. 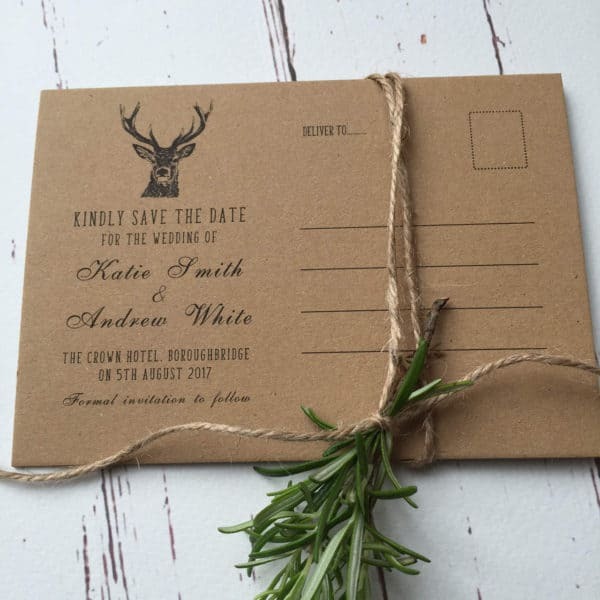 Simply purchase the total number of rustic stationery you require and after purchase we will email you to ascertain the breakdown of day invitations/evening invitations/save the date/ menu cards. We will also request all your details for the invitations and you can email all the other details when you have them. Please check the invitations carefully and ensure every detail is correct. We can make any amendments as needed at this stage. Once you approve the draft we will start the printing process and dispatch your invitations ASAP. (Please note after approval of the final draft we can not make any further changes) Reverse side printing is available from 30p per card. 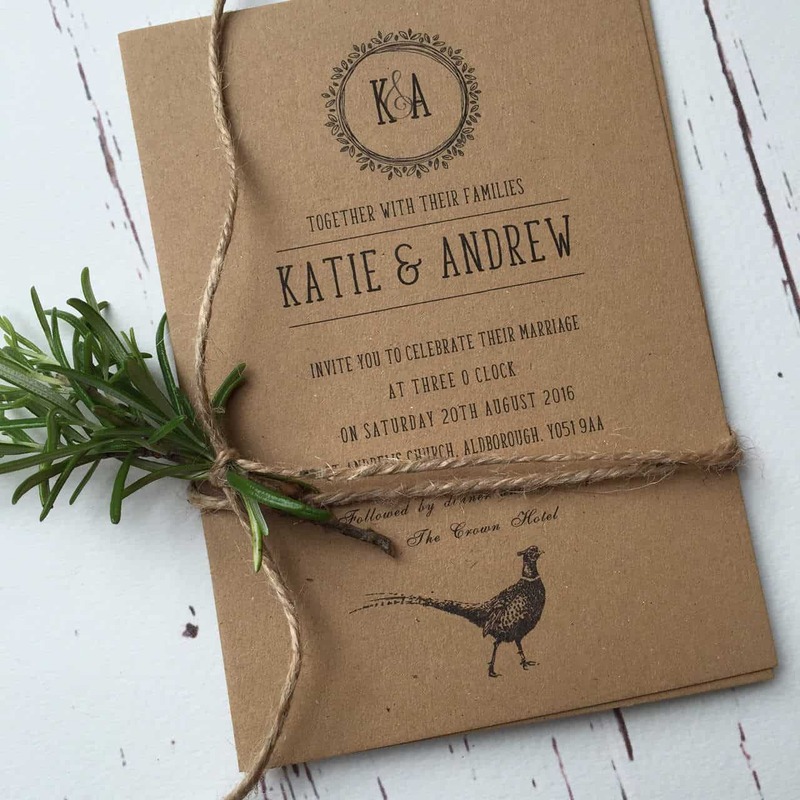 We can also design an Order of Service to compliment your theme. Please contact us for a price as it depends on the amount of detail required.